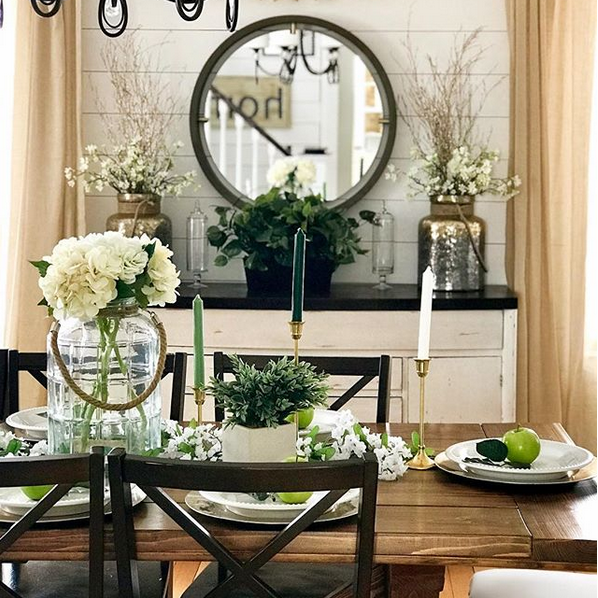 Spring is in the air, Irish eyes are smiling, and I am completely head over heels for all of the green décor popping up everywhere lately. Yes, you read that right. 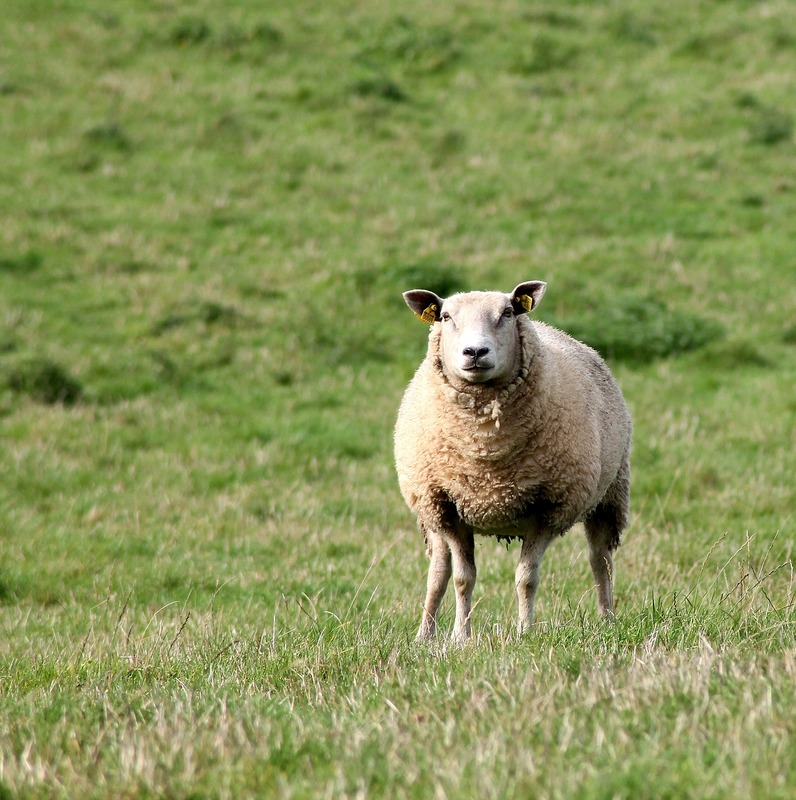 My neutral loving heart is beating double-time for greener pastures this week. 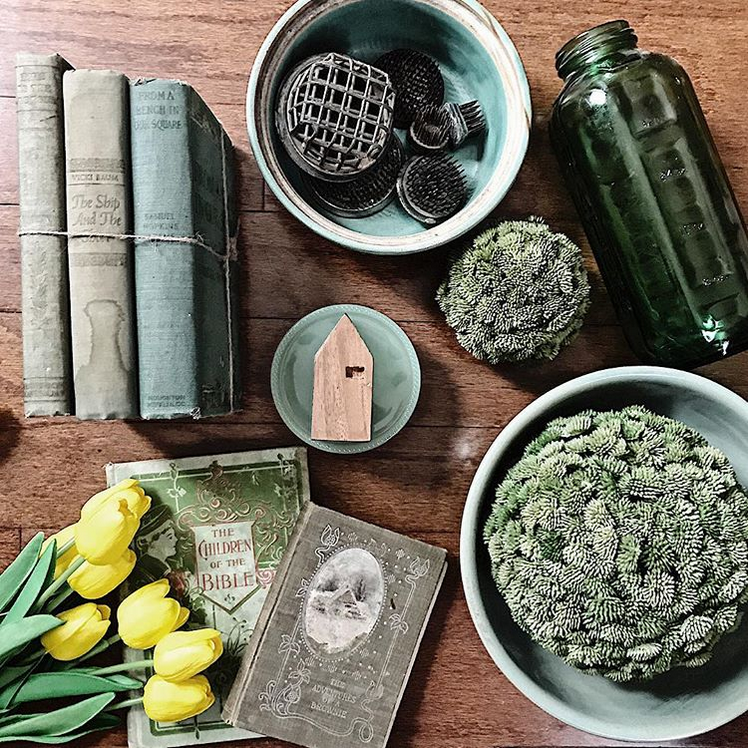 This week, I thought it would be fun to take a look at 5 easy ways you can weave a pop of spring-inspired green into your décor, even if you ordinarily maintain a neutral palette. 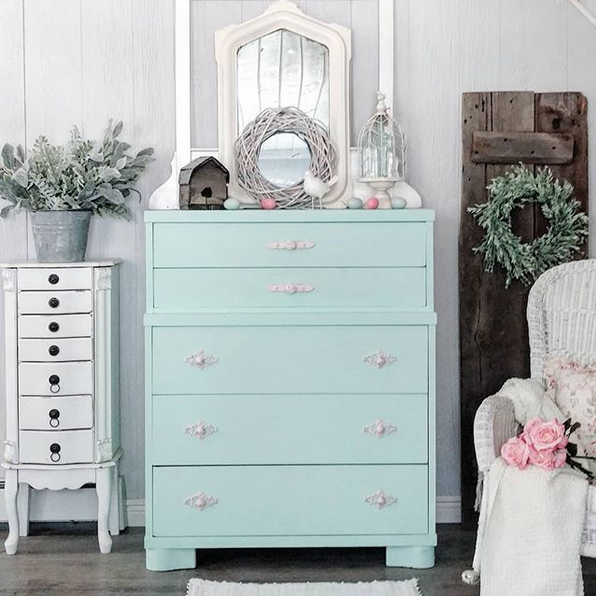 Vintage and found items in a mix of green hues are perfect treasures to feature throughout your design. 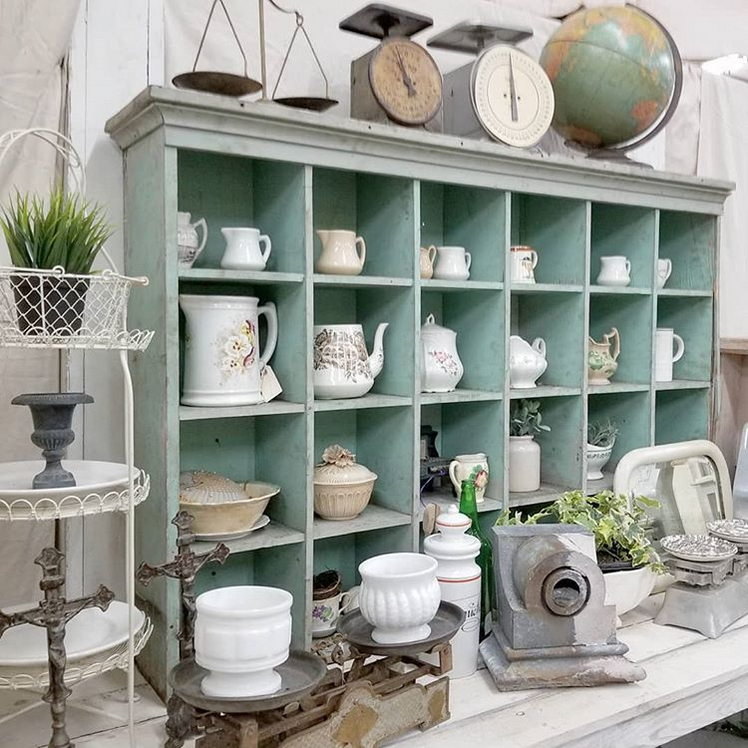 Hunting for these items in thrift shops and antique stores is especially fun too! One of my favorite ways to work subtle color into my designs is with vintage hardback books. Bonus if you can find an interesting title on the cover or spine too! 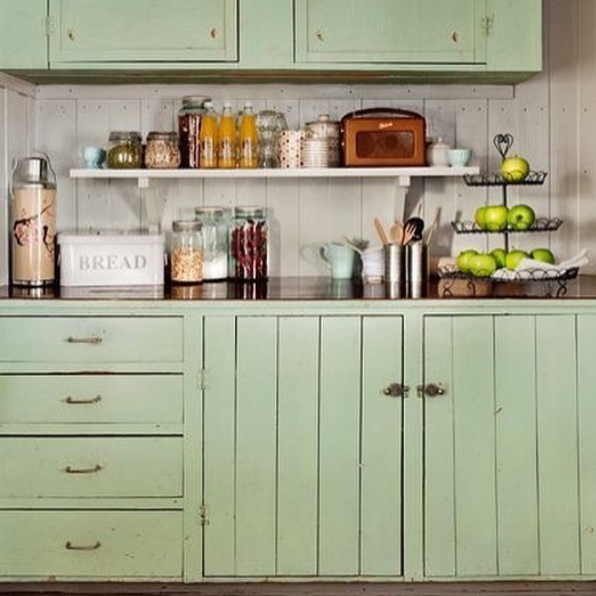 Another favorite for me are green glass bottles and jars. We had dozens of these spread over all of the dining tables at our wedding, and they make for a sweet, vintage-inspired display when grouped together in varying sizes. I like to fill mine with simple Baby's Breath, but you can choose any flower and make a beautiful display without any floral arrangement experience. 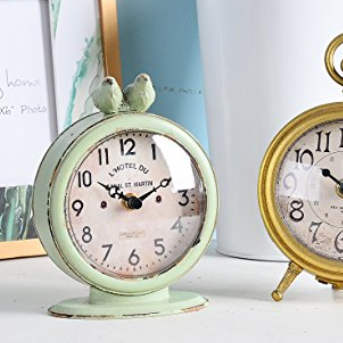 And how about this sweet little clock for a charming (and useful) addition to a bookcase or side table. Remember the glorious shade of green slate chalkboards we grew up with in school? Scoring one of these at a flea market or salvage sale is a major WIN. If you have an interest in hand-lettering, you can change sayings or quotes to coordinate with your design anytime too. Painting furniture is a controversial topic, for sure. Some people couldn't imagine ever covering up the natural beauty of wood. However, if you have a piece that is damaged, but still functional, why not save it with a coat of paint and enjoy using it for years to come? 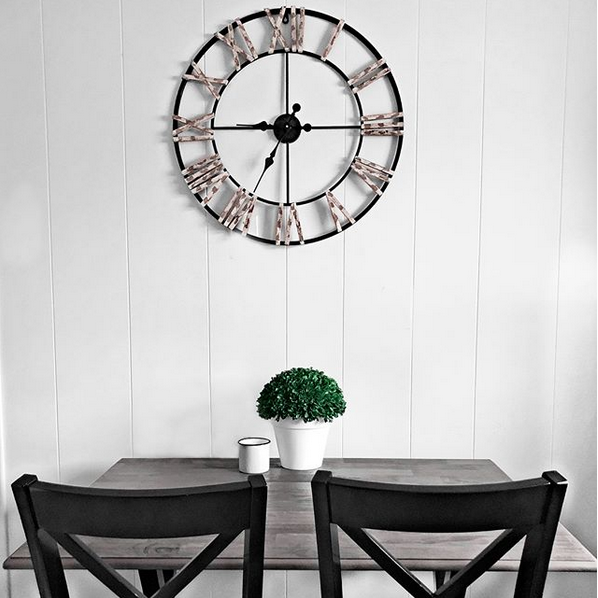 A statement piece like these can completely transform a room. 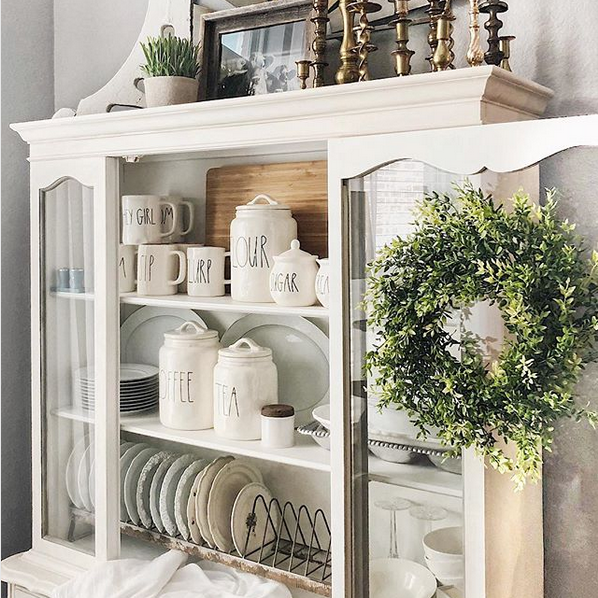 Even a small decorative piece, like this sweet cubby shelf, can help to highlight a gorgeous collection of fine china, ironstone pottery, or other favorite treasures. 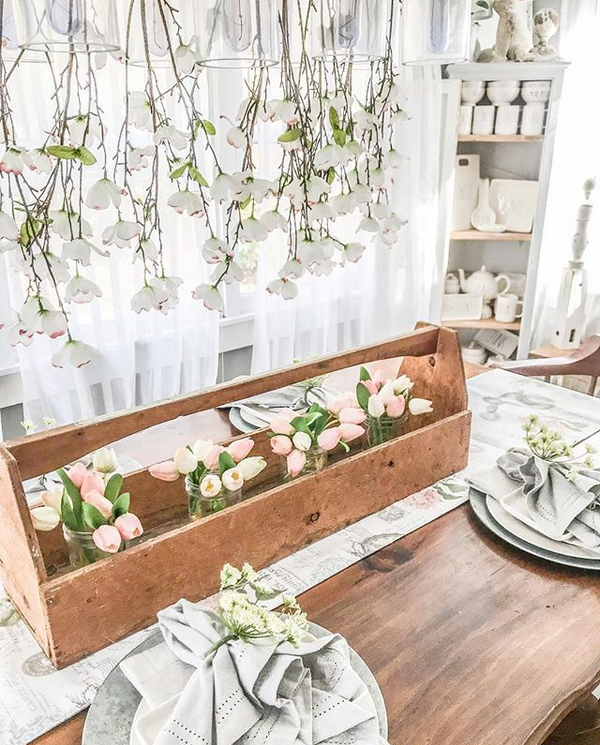 One of the easiest ways to update the look of your entire dining area is with a change of linens and a fresh centerpiece. Who knew a napkin ring could enhance a neutral color palette so beautifully?! 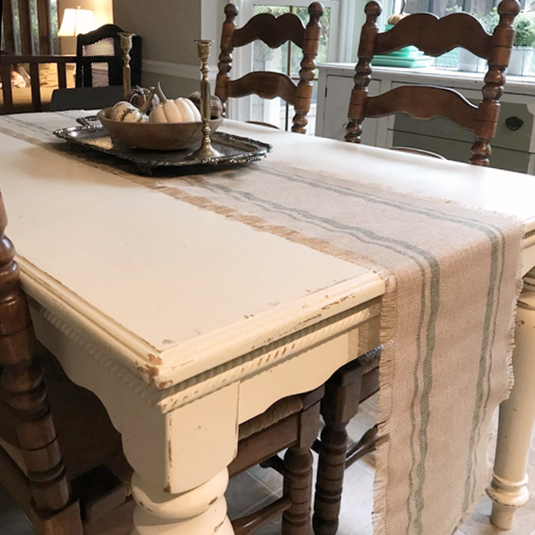 A simple farmhouse inspired table runner (like this one) is another easy and incredibly affordable update as well. How about an easy centerpiece update by filling your candlesticks with tapers in varying shades of green for a simple fix. I also love using fresh fruits and vegetables for kitchen and dining table color. Apples, for example, come is many colors and will keep at room temperature for a week or longer, depending on your climate. You don't have to give up your neutral decor to work a subtle bit of color into your tablescape. 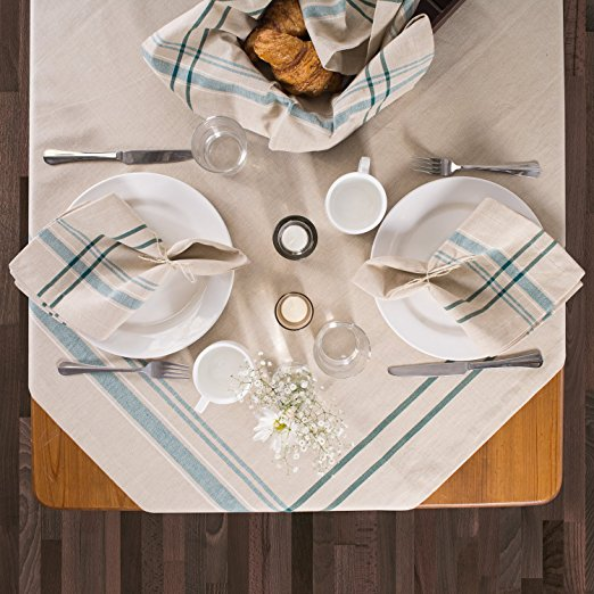 These farmhouse table linens are reminiscent of the classic stripe of a grain sack without disturbing the primary neutral color palette. The dining room isn't the only place to make a simple change with textiles. 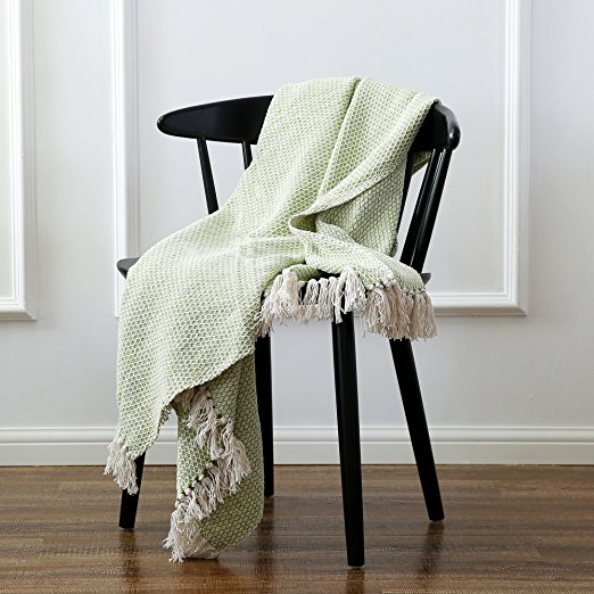 A cozy throw draped casually over a piece of furniture or peeking out of a basket are simple touches that you can change on a whim. I like to store my blankets and throw pillow covers in see-through storage boxes, like these, organized by textile color. It's an easy way to find what I need when I'm changing a design around the house. 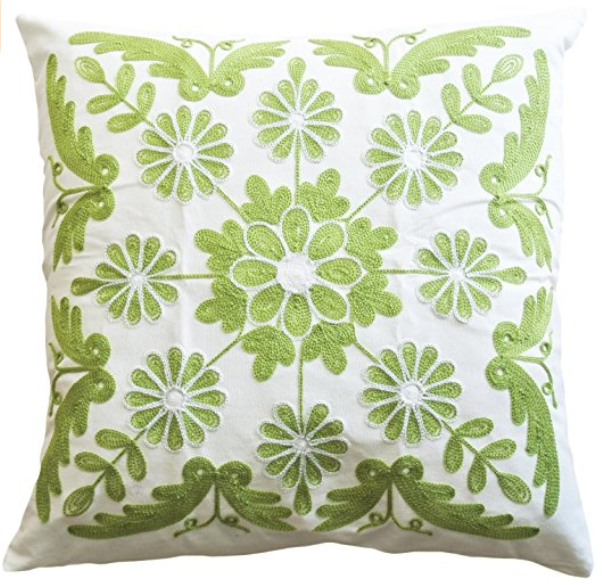 And speaking of great pillows, how about this sweet embroidered pillow cover? 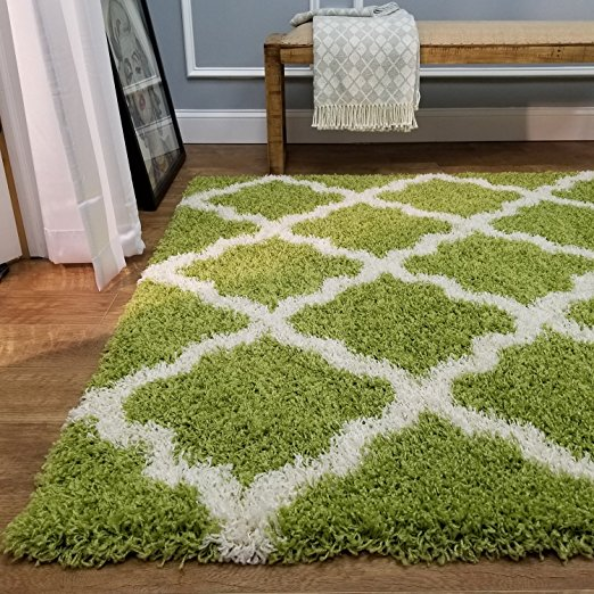 While often overlooked, another easy color change is a new area rug. They're more affordable than you think, and can be easily stored rolled up under a bed or in overhead storage in your garage. 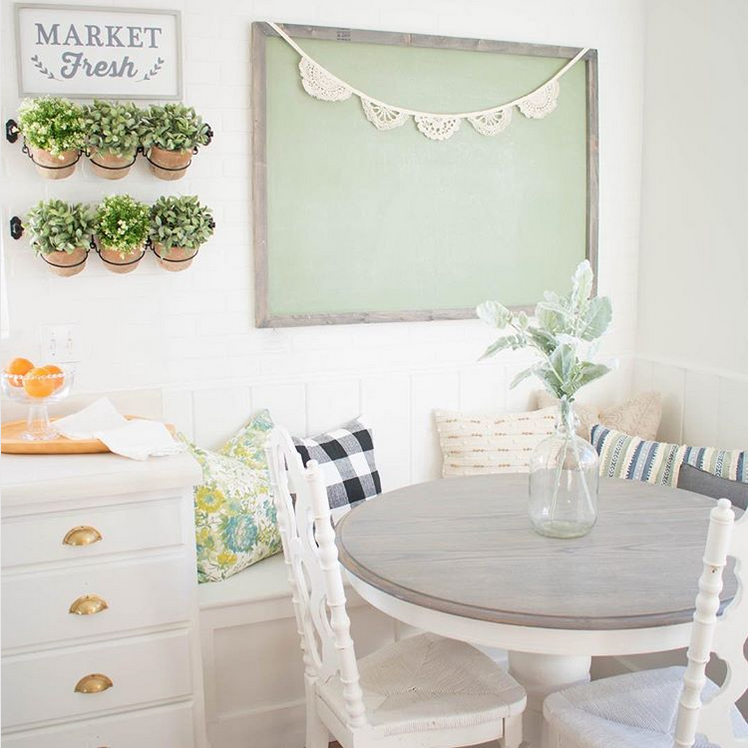 I love this lattice design that is definitely NOT your grandmother's shag! 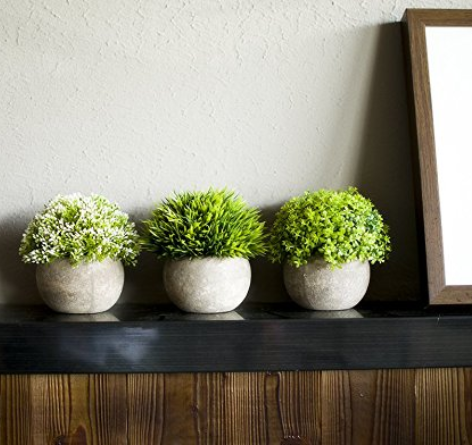 A review of green décor would be incomplete without mentioning nature's own décor: plants. But you don't even have to have a green thumb to enjoy floral greenery anymore. These days, there are incredible varieties of artificial plants and flowers that don't cost much more than the real thing, but last infinitely longer--no watering required! Wreaths aren't just for the holidays either. My favorite year-round variety is a boxwood wreath, which pairs great with almost any decor, but especially with farmhouse or cottage inspired designs. You can find these made from real preserved greenery (like this one that I have hanging in my office), or go with UV-protected plastic for a similar look at a lower price point that won't fade with exposure to sunlight. 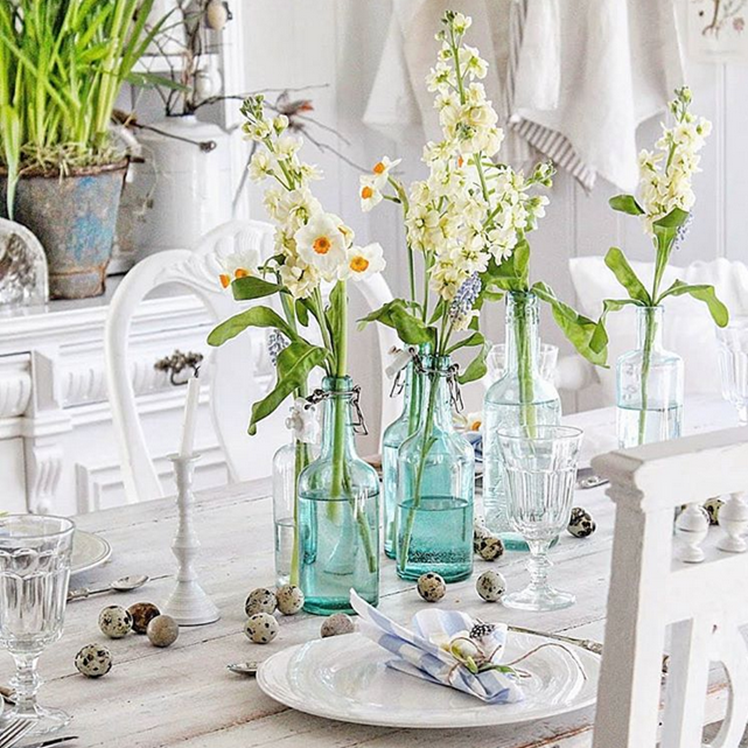 What are your thoughts on weaving a thread of green through your spring décor? Do you like to accentuate your neutral décor with pops of color? What color are you crushing on right now?